There are three ways to convert a String to double value in Java, Double.parseDouble() method, Double.valueOf() method and by using new Double() constructor and then storing resulting object into a primitive double field, autoboxing in Java will convert a Double object to the double primitive in no time. Out of all these methods, the core method is parseDouble() which is specially designed to parse a String containing floating point value into the Double object. Rest of the methods e.g. valueOf() and constructor uses parseDouble() internally. This method will throw NullPointerException if the string you are passing is null and NumberFormatException if String is not containing a valid double value e.g. containing alphabetic characters. Some of you might be curious and thinking if one method can do the job then why we have three methods for String to Double or double conversion? Well, their purpose is little bit different and they also provide some other service. For example, you should be using Double.valueOf() method if you frequently need to convert String to Double because it will likely give better performance by caching frequently used values just like Integer.valueOf() method does. On the other hand if you use new Double(String value) constructor then you will always get a new Double object, creating memory pressure for your application. BTW, in this article we will not only learn how to convert String to double value but also how to convert Double to String, as its important to know both side conversion. If you are not looking to convert String to double but to format double values to String, then please check my earlier post, formatting floating point numbers in Java. As I said, following are three main ways to convert an String containing floating point value into double primitive and Double object. You don't need to worry about which method returns double primitive value and which method returns Double object because autoboxing will take care of double to Double object conversion automatically. BTW, just for your information both parseDouble() and valueOf() returns a double primitive value but new Double() is a constructor it returns a Double object. 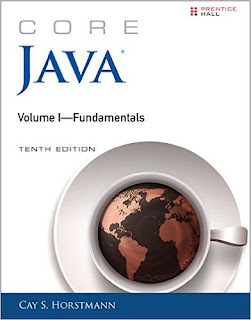 You can also check Core Java Volume 1 - Fundamentals by Cay S. Horstmann for more details on converting on type of variable to others in Java. In cases where Double object is got autoboxing in Java will take care of converting to double primitive value. The first one is very simple, just use + operator with empty String and a double variable and you will get an equivalent String literal containing a double value. Just make sure that empty String literal i.e. "" should be the first argument or else + operator will do addition instead of String concatenation. The second method is mainly for the Double object, but don't worry even if you have a double value you can leverage autoboxing to first convert it into a Double object and then just call toString() method on it to get an equivalent String in Java. The third method uses valueOf() method of String class to convert a double value to String. 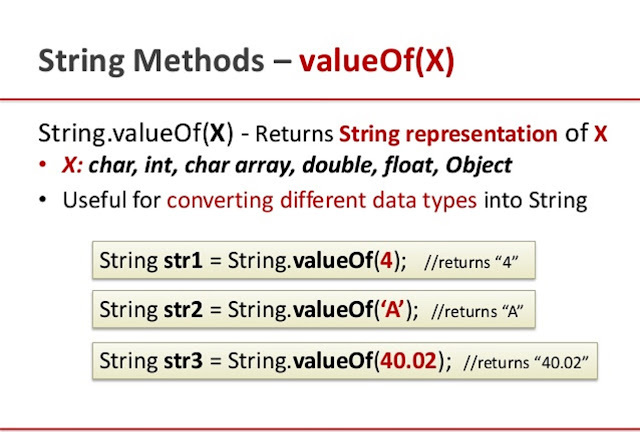 Since String provides a set of overloaded method to convert every single data type e.g. boolean, short, char, int, long, float and double it make sense to leverage that. Just like other valueOf() method this can also cache frequently used values along with leveraging String pool. Enough of theory, now let's see some code in working. In following example, we will first learn how to convert a String to double and then opposite. We will use the knowledge we gain in first two paragraph. * Java Program to convert String to double in Java and vice-versa. That's all about how to convert String to Double in Java. Now you know how you can convert these two frequently used data type into one other. For the sake of best practice, just remember to use Double.valueOf() if you frequently need to convert String to double because it can cache values, it will result in better performance. Similarly, when you convert a double to String using String concatenation, make sure to use empty String literal and that too as first argument otherwise + operator will not perform concatenation.